One of the interesting outcomes of the collapse of the Soviet Union was flooding of international gun markets with old Russian weapons, among them hundreds of thousands of Mosin Nagant rifles. Mosin Nagant was the workhorse of Russian and then Soviet armies for over half a century. The first model was standardized on in 1891 (Трехлинейная винтовка образца 1891 года), then went through a gradual redesign through 1920s which culminated in what is now called M91/30. One could say that M91/30 won WWII because it was by far the dominant infantry weapon in the Red Army until the introduction of AK-47 in 1950s. (I am leaving out a lot of history; if you are interested in full details click here: http://en.wikipedia.org/wiki/Mosin-Nagant). Best prices on firearms in Seattle area! Over the decades there were 17 millions or so of these rifles made, and quite a bit of them were packed up in cosmoline and left to sit in crates in Soviet arsenals until the fall of the Iron Curtain. Now the contents of these arsenals are turning up in gun shops across the US, and because of the sheer volume the prices are extremely low - you can buy a complete rifle in good condition, with accessories (bayonet, the oil bottle, the tool kit, and the ammo pouch) for under $70 on the internet. When I first seen it in store (it was in now defunct GI Joe's Sporting Goods, and it cost $89) I was floored. Really? I can own a WWII rifle for less than a hundred dollars? So of course I bought one on the spot, but also started looking for them on the internet. Pretty soon I found quite a few places with fantastic prices, and ended up with a large number of these rifles, some of more, some of less historical value. And now that I had some that were not that unique and so could be shot or even modified, I started wondering whether I could make them shoot really well. Thus the Mosin Nagant Sniper project was born, and the next several posts will document my experience with building an accurate rifle out of an M91/30. Before we go into details, however, I need to clarify what "accurate" means for the purpose of this project, and what the motivations for building an "accurate" Mosing Nagant should - and should not - be. Accuracy of a rifle is measured by the angular dispersion of the shots. The standard unit is MOA, a "minute of an angle" (1/60 of 1 degree, or pi/(180 * 60) rad). At 100 meters it is then 100 * tan(pi/10800) = 29.1mm, or almost exactly 1 inch at a distance of 100 yards in imperial units. So if a 5-shot group fired at a target at 100 yards all lies inside a circle with the diameter of 1 inch, the rifle's accuracy is 1 MOA. Note that the actual impact point does not matter - only the dispersion of the group. The (average) impact point is easy to move by adjusting the scope if the dispersion is small. Here, for example, I shot 4 groups off target, then clicked the scope 0.5" up and 0.5" to the right and shot the next 4 groups on target. 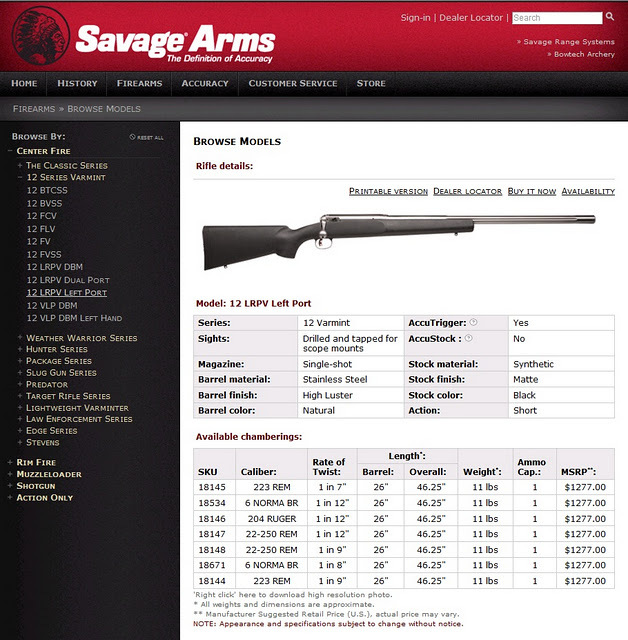 A typical modern Savage rifle with the price range of $600-$1000 should easily shoot 1 MOA 5-shot groups, and the size shrinks to 0.5 MOA towards the $1000 end of the spectrum. A typical benchrest rifle would be around 0.25MOA. Current benchrest shooting records are all below (way below) 0.1MOA. Interestingly, military sniper rifles are nowhere near the performance of good commercial rifles. Dragunov is designed to shoot around 0.7MOA, as are most US and European police and military sniper rifles. And even that performance was only achieved relatively recently - WWII sniper rifles on all sides were shooting far, far worse. Which means that even "accurised" Mosin Nagant will never be a match of an accurate modern rifle such as Savage 10FP, Savage 12LRPV, or Remington 700P. They have a very long (28") thin barrel which is not very rigid, a fairly heavy trigger that can be adjusted only so far, and the build tolerances that are far below the modern standards. I got the one rifle that I completed and tested down to 1-1.5MOA, and I think this is the limit to which a Mosin can be taken. Of course, if you do shoot 1.5MOA, you will still be doing much better than 95% of the people on the range. Most AKs, AR-15s, and Berettas that I've seen around our shooting range produce 3-5MOA groups, and "out of the box" Mosin would do even worse. However, to get to 1.5MOA you would have to make your own ammo. There is plenty of surplus ammunition coming from the same sources as the rifles which is extremely inexpensive. For example, Bulgarian surplus rounds can be had for under $80 for a tin of 440, which makes the price only $0.18 per round. By comparison, modern match ammunition is usually $2+ per round, and modern "cheap" ammo is almost never below $0.50. Unfortunately, surplus ammo is very innacurate. I tried all the brands - Bulgarian, Russian, and Hungarian - and could never get groups below 3MOA, even with the "sniperised" gun. There is sligtly more accurate modern production Russian ammunition, but even that would not shoot below 2.5MOA, and it is no longer cheap at $0.90/round. There is, however, absolutely no match-grade ammunition. More about ammo in one of the follow-up posts. The other disadvantage of owning a Mosin Nagant is the fact that the barrels are relatively hard to replace: it is simply not worth it. Buying the barrel-receiver combination is actually cheaper than having a gunsmith replace a barrel in the receiver, so there are very little barrels available for Mosins. The barrel will last for 3000-5000 shots, maximum, and after that the whole rifle is gone. You can replace the barrel and the receiver, but quite a few accurising operations will then have to be repeated. What are the motivations for owning and accurising a Mosin Nagant then? First, it's an extremely simple, cheap, and practically indestructible rifle, and as such is an excellent platform on which you can learn about firearms. Second, there is a source of cheap ammunition which, although inaccurate, can still be used for mundane tasks such as tuning the scope without breaking the bank. Third, accurising it is a relatively inexpensive and fun mechanical project that produces tangible results almost immediately.